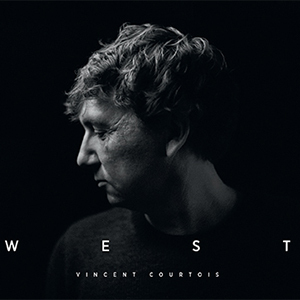 WEST, the newest album from cellist Vincent Courtois for the La Buissonne label, is the work of an accomplished composer. "I feel that my music has become more precise, evolving towards an ideal point or place - great spaces, melodic silences, monumental landscapes one can travel on intimate routes, thanks to mysterious hidden maps" comments Vincent Courtois who lately has been collaborating with other artists of various discipines, be it cinema (he composed the original score for Ernest and C�lestine, a C�sar winning and Academy Award nominated animation movie), literature (Raymond Carver's America, a musical play starring Pierre Baux) or photography (Intuition, with Michael Ackerman and Christian Caujolle, Rencontres d'Arles 2014). "Conceiving, writing and orchestrating notes, almost like they were a travel plan, has become the main axis of my work, one that I cannot do without. A recording studio is a place like no other, these musical roads unwind and come alive". The mythical studio La Buissonne, where Vincent Courtois has been once more invited to work, first solo with producer and sound engineer G�rard de Haro, then with pianist Benjamin Moussay and saxophonists Daniel Erdmann and Robin Fincker, is the birth place of quite a unique record: "While we recorded and mixed it, the title kept playing in my mind, a single word, "WEST", a direction, almost a decision, a resolution; a journey elsewhere, towards the unknown, and a promise of great discoveries" Vincent Courtois adds. WEST is an important record, a testimony to the uncompromising poetic choices of a musican who has chosen to exile voluntarily, to retreat within himself in order to create great new horizons for his audience. Vincent Courtois' classical training endowed him with technique, precision, and instrumental control. His curiosity and eclecticism led him to play with brilliant musicians from different backgrounds: Rita Mitsouko, Christian Escoud�, Michel Petrucciani, Michel Portal and Jo�lle L�andre to name a few. 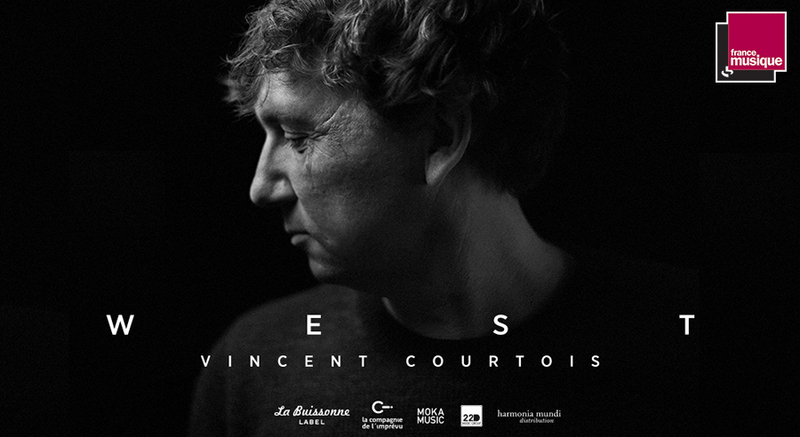 Strengthened by his many experiences and influences, Vincent Courtois has developed a unique musical exploration. His creative process builds on musical relationships, the balance of personalities and energies, the impact of contrast, ideas of sound, images, incertitude and silence. Creating a musical form where freedom is paradoxically managed with utmost rigour and attentiveness, he gives collective creation a chance and each collaborator a unique position in a spirit of trust and mutual involvement.